President Trump said Wednesday he could send up to 15,000 troops to the U.S.-Mexico border, which would surpass the number of soldiers currently stationed in Afghanistan. 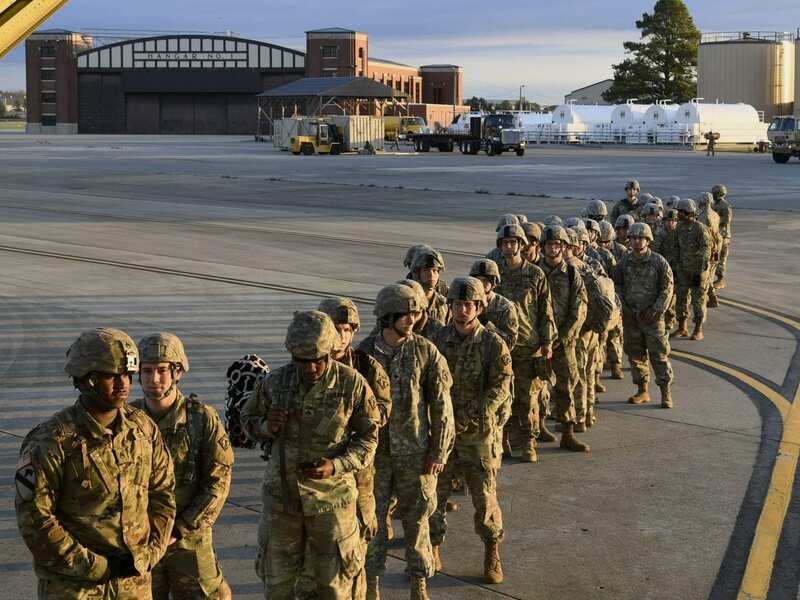 The current number of troops deployed to the border is 5,239, the head of Northern Command, Gen. Terence O’Shaughnessy, said on Tuesday. He said that number would likely grow even larger. A contingent of 2,092 National Guard members are already stationed at the border. That total alone is roughly equal to the number of U.S. troops remaining in Iraq and Syria. Earlier in the day, Defense Secretary Jim Mattis, speaking at the Pentagon, was asked whether the troop deployment was a political stunt as some critics allege. “The support that we provide to the secretary for Homeland Security is practical support based on the request from the commissioner of Customs and Border [Protection], so we don’t do stunts in this department,” said Mattis. He also compared the mission to what the Defense Department might do after a natural disaster. “We do this following storms, we do this in support of the Department of Homeland Security. This is a different aspect of it, but that’s what we are doing,” he added.